All Aqua Life vests come fitted with manual or automatic inflators and have a manual inflation tube as well as a failsafe backup. 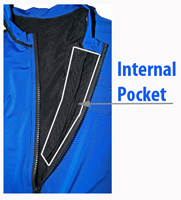 With the Aqua Life Inflatable Shirt, the user is able to manually inflate the shirt through the backup tube to give added buoyancy. This feature is particularly useful in situations like learning to swim, taking a breather while snorkeling and adding a bit more buoyancy when body surfing. 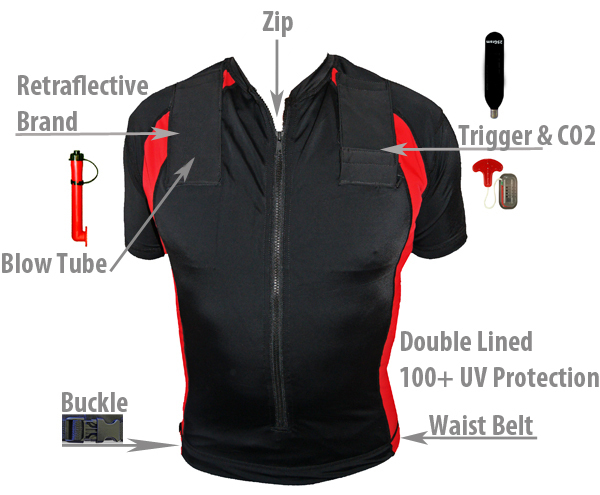 The Aqua Life Inflatable Shirt is fitted with a manually activated inflation system as it is designed primarily for use in water. However, if required, an auto inflation system can be fitted to any shirt. If the inflation is activated, the shirt will inflate in less than a second. 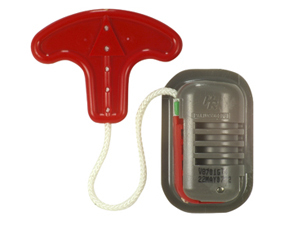 All components used in the inflation process of the bladders are certified for use in PFD 1 status life jackets. Aqua Life Inflatable vests have a 50+ UV rating. This is a huge advantage if you are out in the sun for any length of time. Normal life jackets may offer buoyancy but they don't offer much in the way of UV protection. If you're involved in water sports it is a very unpleasant feeling wearing a buoyancy aid on top of sunscreen, not to mention how the sunscreen can stain your often very expensive vests. Aqua Life Inflatable vests are unique in design. bladder as well the oral backup tube and CO2 with trigger mechanism. If there is a need to remove the bladder it can be carried out quickly and efficiently. Before using your Aqua Life product, always make sure your CO2 cartridge is full and has not been used previously. 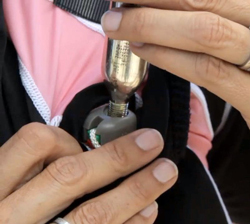 Your CO2 cartridge is located in the top of the left pocket for both inflatable shirts and wetsuits. Simply unscrew the cartridge in an anti-clockwise direction and check to see if the seal is in place. If the seal is broken the cartridge will need replacing. Insert your new cartridge into the receiver and screw in a clockwise direction until firmly tight. 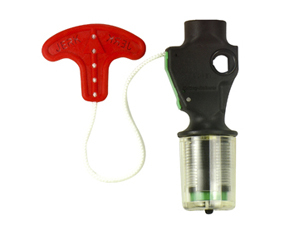 Make sure that the pull chord/lanyard is secured in place by the green clip as shown in the photograph. It is very important that you replace used cartridges with the same size cartridge that your Aqua Life product was supplied with. 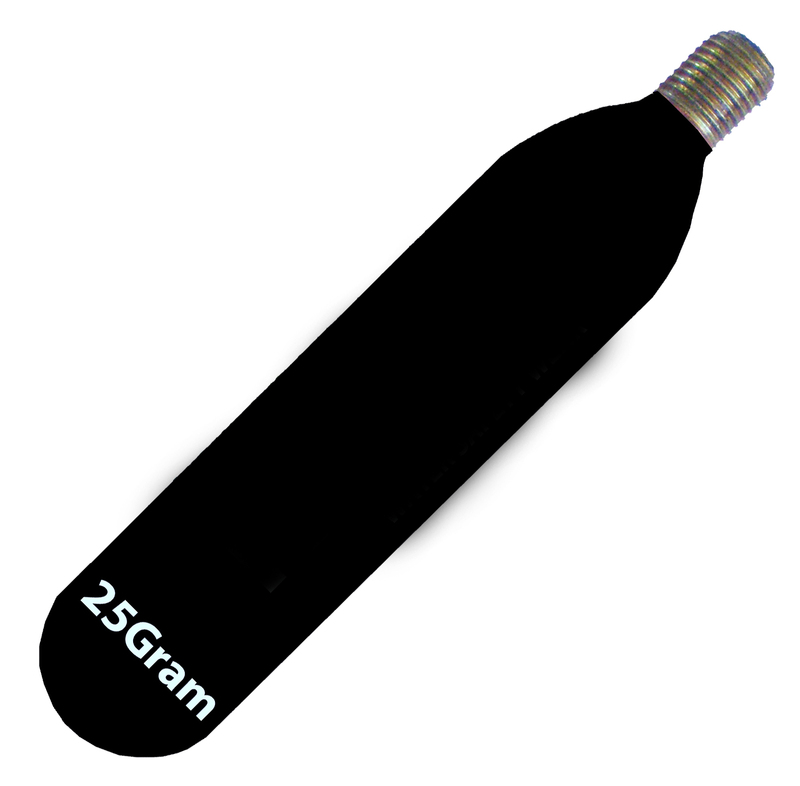 It is recommended that you replace your CO2 cartridge every 12 months even if it has not been used. The Aqua Life Vest is patented and also has Patents Pending for the Wetsuit and Dry Vest designs.